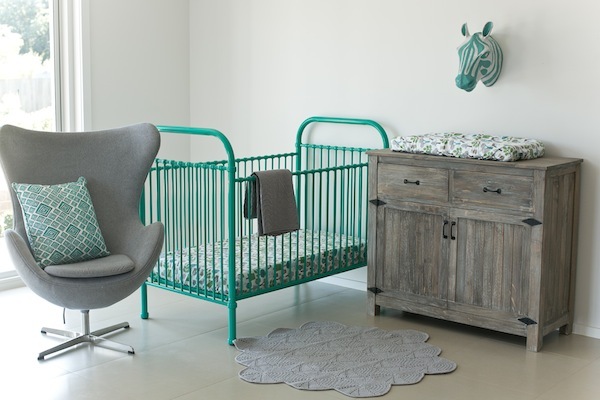 This post needs to come with a serious cute warning – beware these cheeky munchkins dressed to the nines and perfectly poised to showcase the brand new cots from Incy Interiors! Those who think they’re done with babymaking should step away from the computer because these kids and cots will make anyone want to start all over again. We know you love the Incy Interiors Gelato Beds and now it’s time for the babies to get a dose of pretty colour with the new Gelato Cots. 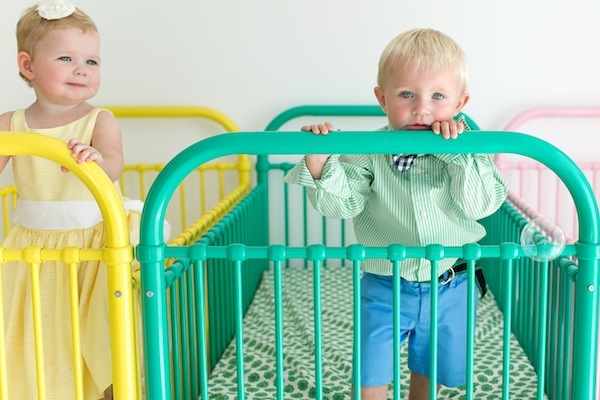 At just $599 each, Clancy (yellow), Romy (pink) and Declan (green) are just the colour pop you need in the nursery, without blowing the budget. Expertly crafted from strong iron, with simple timeless curves and round spindles, Romy, Clancy and Declan feature stationary rails and two adjustable mattress heights – to allow your cot to grow with your baby. We just love the way Incy has styled the new cots below, with other elements of its range – don’t they look absolutely perfect?. Look up the list of stockists for one near you, or buy online at Incy Interiors.